For decades bandages have helped to heal the wounds, cuts and scrapes of millions of families and individuals, worldwide. Band aids started out as a protective strip of cloth, Earle Dickson invented to protect his wife Josephine from the cuts and bruises she received while performing her daily at- home tasks. However, it was not until 1920 that the first aid bandage made its way to the open market. From 1920, when the first ideal of band aids was initially introduced, and to the birth of its existence, first aid bandages continue to be a staple in millions of homes. It is the most preferred healing brand of medical and non- medical facilities worldwide. 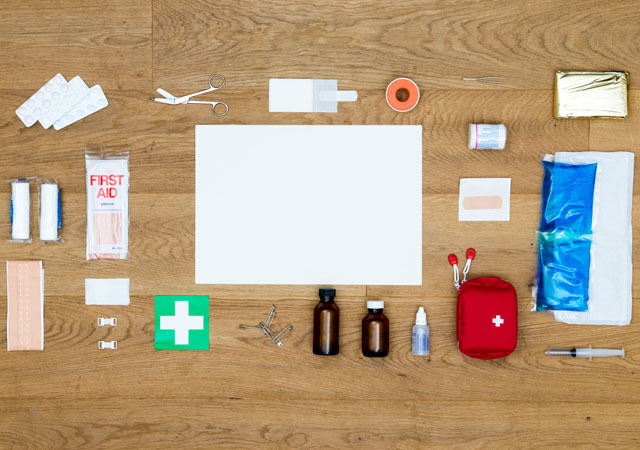 Through all the dramatic changes, first aid bandages, are the most loved and most used products in the world, when it comes to healing minor cuts and bruises. The Lipo- Colloid Bandages are particularly safe and effective in covering seeping wounds, and preventing the skin from sticking to the bandage. The special lipo- colloid coating acts as a protective layer of protection, that absorbs both blood and wound exudates. Haemostatic bandages are ideal for protecting surface wounds. The adhesive covering, allows the wound to breathe, while haemostatic padding enhances blood clotting. The bandages are made of alginate non woven material to ease the pressure of the adhesive backing, once the bandage is placed over the wound. Ideal solution for minor cuts, and abrasions! These first aid supplies are great for commercial industry workers such as restaurant employees, deli workers and caters. The blue metal detectable strips, plaster and dressings are wash proof, and aids in preventing cross contamination of foods and fluids. These first aid products are breathable, stretchable and germ resistant. The metal detectable strips are easily identified by its blue backing, or metal. Each individual bandage can cover a small scrape, hide a nasty cut or protect a slight bruise. The padded covering on the back absorbs blood and fluids and prevents bacteria from entering the wound. Each bandage is hypoallergenic and safe for all skin types. This first aid bandage is made from rigid, flexible, and stretchable materials to ensure that each bandage stays in place. This is a bandage that promotes healing, and protects wounds, while building up a resistance to bacteria is an ideal solution for children and adults. The antimicrobial contents working in combination with the absorbent padding is believed to enhance the healing process. First aid bandages are consistently improving, as the demand for better products continues to grow. As a result, newer and higher quality of products are making its way to the open market. From 1920 until present day, the bandages have kept families safe, while promoting its own power of external healing. First aid bandages are a part of history that keeps getting better, year after year. Earle Dickson discovered the power of cloth healing and took it further than our wildest imagination.